Borat is one of the most successful comedies of all time. 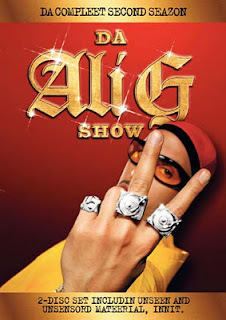 By this time, everyone on the planet probably know that the character was created by Sasha Baron Cohen, who also made the equally stupid wannabe rapper named Ali G.
However, it's been a while since his original British show aired, and even though Borat went on to be a much bigger success than Ali G, it was here that it all started, with a show that set the path for one of the greatest careers in comedy. A bit rougher around the edges, the show still packs a punch, and is well worth tracking down for anyone who missed it the first time around. Make sure that you get the British version though, as his American remake was pretty much just a watered down rehash.